Cure for the Common Crush is the cleverly titled debut album from Vancouver progressive rocker Id Guinness. The album has received heaps for praise from the online rock community including a Top 25 of 2008 spot from Indie-Music.com. An eclectic collection of songs, Cure for the Common Crush takes equally from '70s progressive rock and the '00s indie underground. Dark FM radio overtones meet with a well placed smattering of horns to create the prog feel. Guinness also seems to make it his mission to singlehandedly resurrect the lost art of the guitar solo (it's about time if you ask me). Those elements are contrasted with an often lo-fi aesthetic an Mercury Rev-like cinematics. Vocally, Guinness shifts back and forth between Ben Gibbard high nasal tones and decadent Berlin-era Bowie. From time to time the melodrama of the album can become a tad overbearing. For example, "The One That Got Away" sounds a little too close to Pink Floyd's "Welcome To the Machine" for my comfort (mostly because I hate Floyd). 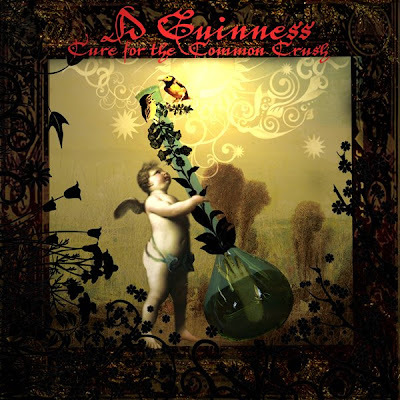 While labelling it one of the best albums of 2008 may be a stretch, one can't help but admire Guinness for taking a musical genre that had been left for dead and dragging it into the 21st Century. Guinness' second album, Soul Envy, is on track for an August release. Best tracks: "I Have Seen the Future", "The Joke"